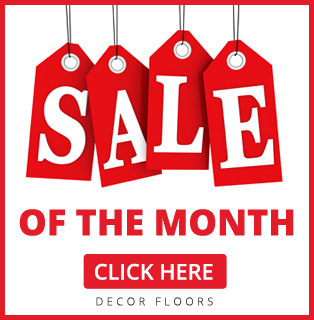 Décor Floors offers a wide selection of ceramic tiles for residential or commercial flooring. Our expert staff in all of our three store locations (Toronto, Mississauga, and Bramptom) will be happy to assist you in finding exactly what you are looking for! Glazed ceramic tiles are not damaged by moisture or spills. This makes them the ideal flooring choice for kitchens, bathrooms, laundry rooms and foyers. This also means that ceramic tiles are unaffected by humid weather conditions. Since ceramic won’t absorb moisture, tiles will not expand causing the floor to buckle as can be the case with like hardwood planks. Ceramic tiles are now available in so many colours that finding exactly what you are looking for won’t be a problem. Ceramic tiles are even made to mimic concrete and natural stone, so you can have a floor that looks like marble, but without the headache that goes with maintenance of a real marble. 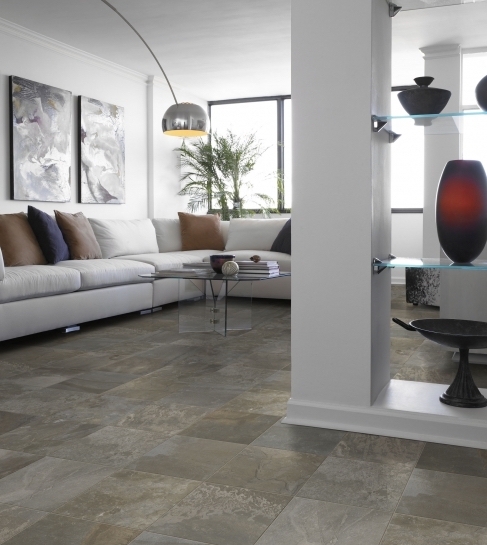 Tiles are available in a wide range of shapes and sizes, offering even more flexibility in floor design. Ceramic tiles are strong and durable. They won’t crack easily, and they will last a very long time. Maintenance is a breeze. A good broom and damp mop is all you need! Really the biggest drawback to ceramic tile its hard surface. Padding or cushioning cannot be placed under the flooring, but you can put area rugs or mats on top to ease the discomfort of needing to stand for extended periods of time. This type of flooring does not retain any heat, so in the winter they can be cold on the feet. But on the flip side, they can be nice and cool in the hot summer months! Ceramic tiles, because they are heavy and held in place by grout, should be professionally installed to ensure straight the job is done properly. Visit one of our Store location to see some samples today!